Irish wholesale gas prices are 47% higher on average this month when compared to October 2017. However, the Naturgy Energy Review and Forecast for October 2018 shows Irish Wholesale gas decreased by 9% on average compared with the previous month; with storage injections and temperature having a significant influence over the direction of prices. October saw the introduction of the Integrated Single Electricity Market (I-SEM), which is a new all-island market arrangement designed to enable Ireland’s integration with European electricity markets. The review also shows electricity prices have increased by 3% on a month-on-month basis and are a substantial 59% higher compared to October 2017. Renewable sources made up 34% of the average fuel mix for the month. 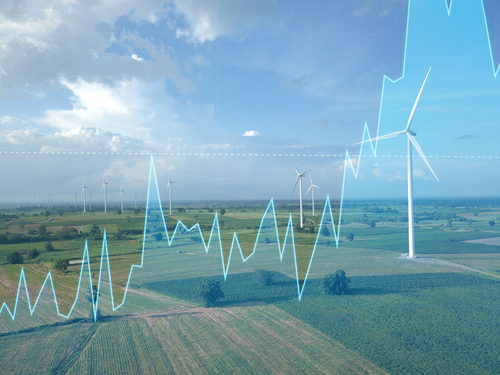 “As expected with the electricity market, the launch of I-SEM has led to a bedding in period and the intermittency of wind generation causing a lot of volatility in the market, particularly in the Balancing Market”, added Ms. Stewart. Irish wholesale gas prices remained firm throughout October, with storage injections and temperature having a significant influence over the direction of prices. Above seasonal norm temperatures and greater confidence around security of supply weakened prices, which saw a 16% loss in the second week of October. However, prices gained value in the latter half of the month as low wind generation bolstered demand from gas fired power generators. Temperatures are now forecasted to drop and a spike in weather driven demand could trigger volatility on the prompt given that prices were softer in October due to mild temperatures and healthy fundamentals building confidence in the market.